LinkedIn is the best way on the web to find like minded professionals. Owing to this there are a number of great ways to boost productivity and prospects. 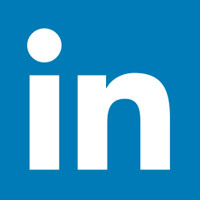 LinkedIn apps can really provide increases in productivity and are a fantastic aid to your efforts. This app links your Tripit and LinkedIn accounts together and so allows automatic travel updates on your LinkedIn stream. The app is a great one as it allows users to share their travel details with networks and so offers them the chance to increase engagement and opportunities to meet people when they’re away from home. So, if you’re big into LinkedIn and do a lot of travel, then this could be the app to benefit you. Business cards can end up everywhere – somewhat like crumbs in a jacket pocket. The CardMunch app changes all that as it allows you to scan a card with your iPhone camera and then creates or syncs the details with the person’s account. It provides you with a digital copy of the business card and also people you share connections with. It’s a time and effort saver. One of the problems with IOS and LinkedIn is that there is no official support for integration and this can be a little bit messy. However, Cobook helps with this and provides a great alternative. It allows your LinkedIn contacts to arrive on screen with a quick shake, you just need the app to be allowed access to your Twitter or Facebook and LinkedIn accounts for it to do so. A very cool app if you ask us. This is another great unified option for address books and will look through your Gmail, iCloud, Outlook, Twitter, Facebook and a range of others to find the entire social footprint of your contacts. It splits them into a number of views and shows you things like the amount of times you’ve interacted via email, people you have in common and a range of other little informative pieces of information that could give you some insight via an app. This is a location based app that will show you the professionals who are relevant to you that you are in close proximity to. Of course, there are a number of safety additions that can be put in place, allowing you to push aside security concerns. The app has a secure chat feature and is a great way to become introduced to people on a face to face level. These apps are just a raft of great mobile programs that can be used to make your LinkedIn all the more valuable and allow you to get more from your professional contacts. Developing an app of your own? Get in touch with one of our app development experts today!